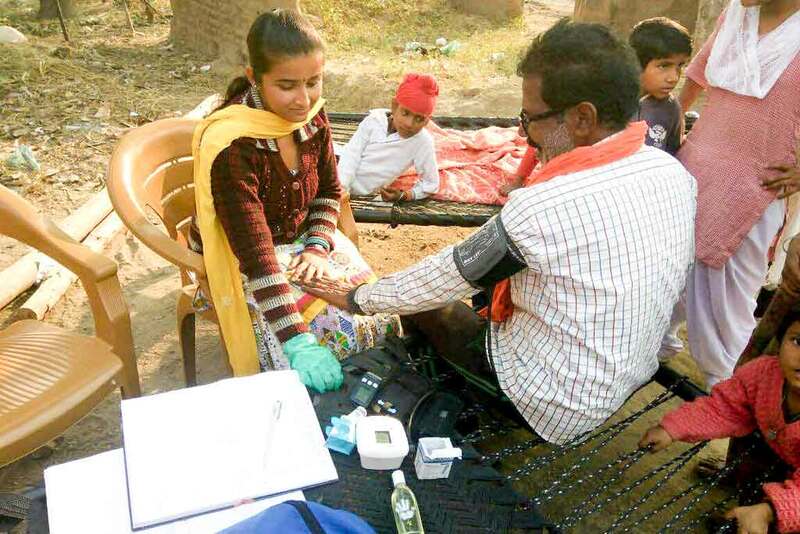 Basic health checkups were given to the people in Maira, Punjab. The nearest hospital is about a three hour drive away at a distance of around 175 kilometres. Adults had their blood pressure and heart rates tested. 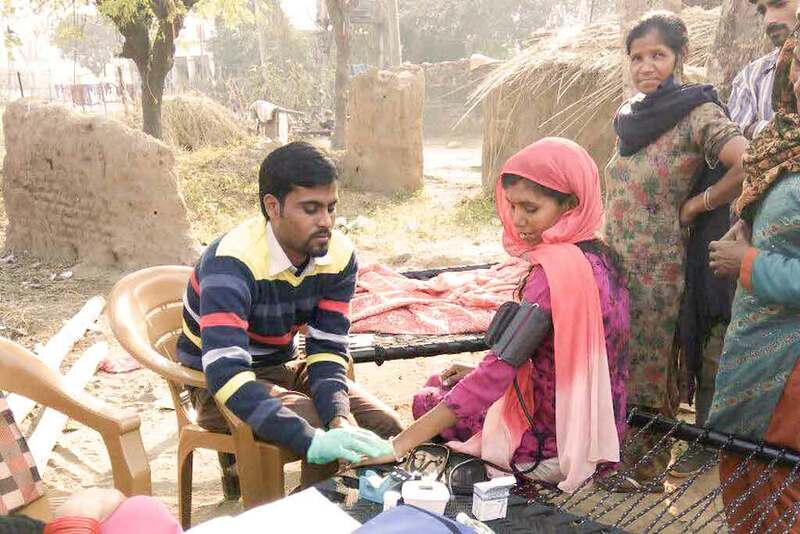 Pregnant women also had their haemoglobin measured, which gives an idea as to whether anaemia during pregnancy has become a risk to health of the mother and/or the baby. Children, in addition, had their height and weight recorded. These are obvious essential measurements to the health of growing girls and boys. Amrita SeRVe is training health workers who are residents in our villages to do this work to improve health support for people who live there. Hospitals, doctors, and healthcare centres are usually distant and, in some cases, completely inaccessible during certain times of the year like the monsoons.